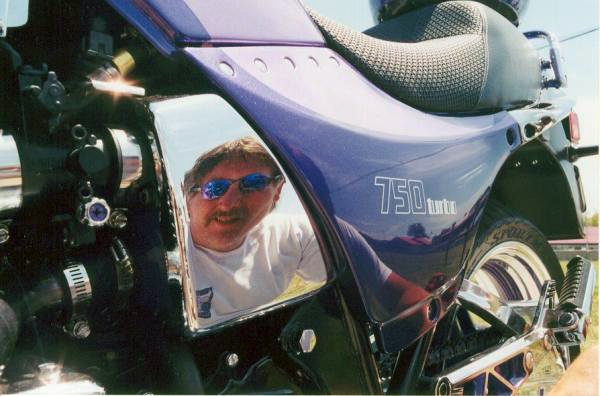 Here's Steve Smith reflected in the chrome of his GPz750 Turbo "Purple Passion" (since sold). The picture was taken at the Mid-Ohio Vintage Days in 2001. 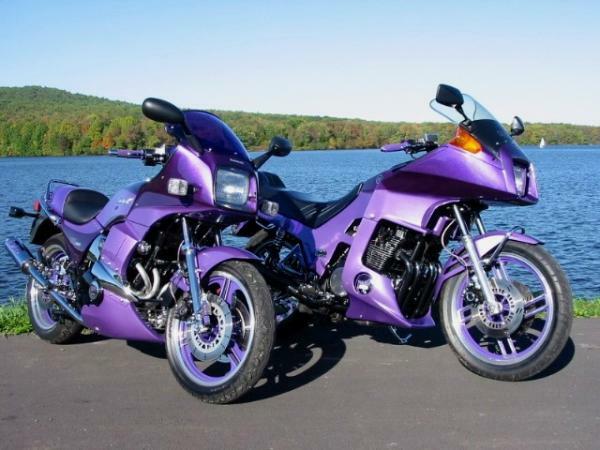 Steve Smith ( slsautorest@hotmail.com ) runs his own motorcycle and car paint shop "SLS Auto Restoration." If you are interested in his services he can be contacted at the above email address. 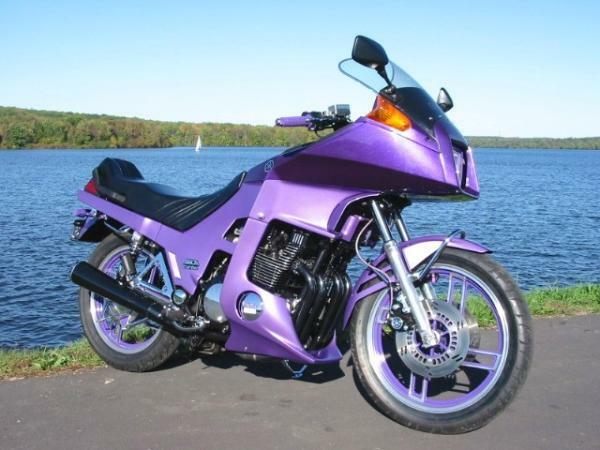 The following are three pictures of Steve's GPz750 "Purple Passion" and his (also sold) purple Yamaha Seca Turbo. 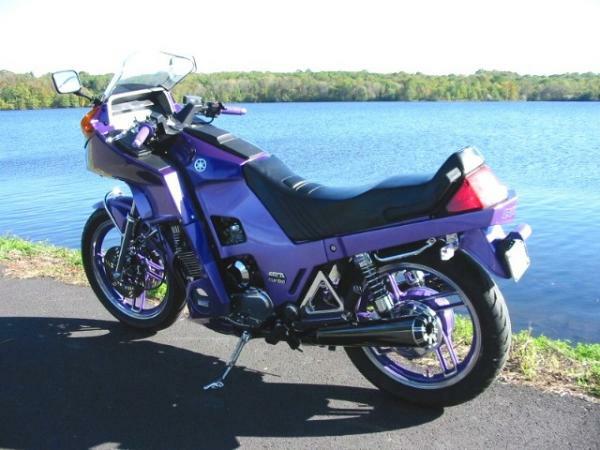 His Kaw Turbo was highly-modified and produced 178 rwhp. Steve is a long-time dragracer.